Hi, I am glad you are here! 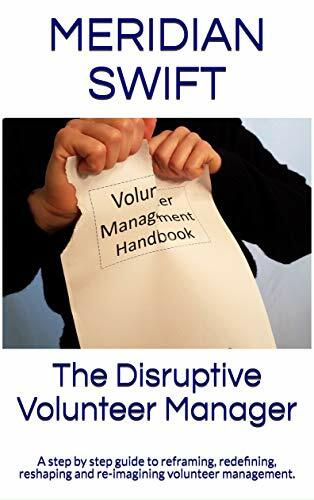 Volunteerplaintalk is a blog for and about volunteer managers and the unique challenges we face. Like you, I’m guessing, I began my volunteer manager career with lofty intent. Over the years, I have been humbled, inspired, frustrated, renewed, downcast, amused and shocked. What a learning experience it has been so far! 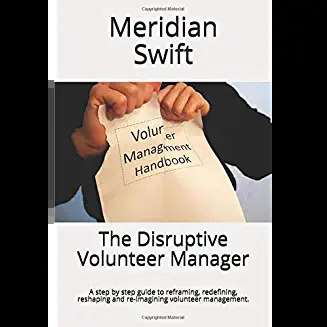 For the last several years, I have been researching ways to elevate volunteer management and volunteerism and have compiled all that research into my latest book, (The Disruptive Volunteer Manager). It’s time we, volunteer managers are given the professional status we’ve earned in the non-profit sector. Contact Me-If you have a question, suggestion for topic or would like to chat about visiting your group of volunteer managers, I would love to hear from you. I also work with volunteer programs and believe strongly that by professionalizing volunteer engagement and impact, we will elevate volunteerism and the contributions of our volunteers. VPT Tips-#VolTipTalk-these are categorized quick tips that I hope will help get your creative juices flowing. I update these often, the newer ones will appear at the top of each category so check back often. But, in all, I sincerely hope this site is worthy of your valuable time. Ask a Volunteer Manager Anything-a page for questions and responses. The Quit-O-Meter-my silly reasons we want to quit being a volunteer manager. You should consider joining our club ‘Cyber Kiwanis’ as your service to the community as volunteer manager is great. How about I do a feature on you as our “Community Friend”. Thank you for that offer, I would love to learn more. How do I join and yes, if you think a feature on a volunteer manager would be helpful, by all means. Just let me know what I can do.